Hinduism is as ancient as human civilization itself, but it is also very contemporary. Traditionally, it is called sanatana dharma; in our age, it is widely known as Hinduism. It has uninterrupted existence since prehistoric times. Neither the term ‘Hinduism’ nor the word ‘religion’ can adequately communicate the connotation of dharma. However, since nearly a billion people call themselves Hindus, and another two billion people refer to them as Hindus, there is no point in arguing over terminology. Hindus give their own meaning to the term Hinduism. 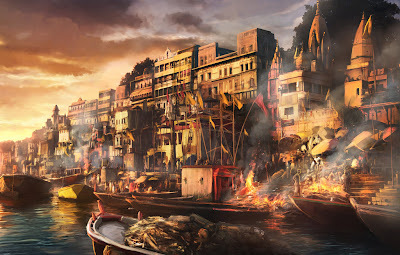 Like the perpetual river Ganga, it is a long rich and living tradition. Throughout the ages, it has been, for Hindus, a moving and inspiring force and has made significant contributions to human civilization and culture. Eighty percent of the people of India and one eighth of the people of the globe follow this tradition; they differ widely in race, language, and social and cultural conditions. Many sages and saints have contributed to its history and development. Its origins are lost in the mists of time. The ancient tradition, from the days of the Sindhu river valley culture up to the present date, continues to impact Indian life and thought in a massive way.The earliest extant scripture of Hinduism is known as the Vedas. Because of its comprehensive and cosmopolitan character, it has been and still is a creative tradition that suits nearly a billion people in India and elsewhere. Hinduism has exercised and continues to have its impact outside India as well. Although Hinduism evolved and developed in India and although the majority of Hindus live there, Hindus also have migrated to many parts of the world. In the past, it had a profound influence in Cambodia, Thailand and Burma. Bali, in Indonesia, continues to be predominantly Hindu. Nepal is a Hindu kingdom. There are Hindus today in Bangladesh, Sri Lanka, Pakistan, Malaysia, the Fiji Islands, Guyana, Surinam (South America), Trinidad (Central America), and elsewhere. It has not only influenced the thought and life of the entire Asian subcontinent, it is also increasingly making its spiritual impact in the rest of the world as well, which presently is seeking a solution for the severe spiritual crisis it is going through. There are over a million Hindus in the United Kingdom, and over two and a half million in the United States of America. The questions that Hinduism has raised and the answers it has offered have taken on a universal practical significance. Despite its pervasive influence in Asia and elsewhere, the Hindu tradition never had a missionary agenda. Its purpose has never been to convert humanity to any one set of beliefs. Actually more than a religion, it is a way of life of a whole people, based on certain enduring principles. The Hindu civilization has produced an extraordinary wealth of art, architecture, literature, and philosophy. It insists on the performance of duties in life according to one’s individual psycho-physical and spiritual endowments. It does not insist on adherence to a rigid creed. Indeed, there is a pervasive recognition among Hindus that people vary widely in both their psychological and spiritual competence. Hence the tradition accepts the fact that spiritual reality may be variously experienced and expressed by different individuals and groups. This attitude of tolerance has given rise to a rich variety of beliefs and to the coexistence of extensive sectarian and ritualistic differences within the larger orbit of Hinduism. The Hindu tradition was not founded by a single person or based on a single historic event. Hinduism emerged from the profound experiences of a number of great seers and saints. It has gone through several transformations and has produced an extraordinary wealth of art and literature. The most bewildering thing about the tradition is its enormous variety; but what is particularly fascinating is the way in which it has dealt with this incredible variety. Hinduism has never prescribed a uniform belief or rite or ceremony. It refuses to reduce life to a formula, and looks upon all human-made institutions as restrictive. It has inspired many to develop new spiritual pathways. Hinduism actually encourages its followers to celebrate each other’s way of realizing God or Supreme Truth. Diversity, however, is not the final note of Hinduism. The saints and sages belonging to different Hindu sects and schools teach an approach of harmony (samanvaya) and reconciliation The Nature of Hinduism (samadhana). They hold that if a person becomes too much attached to particular dogmas and creeds, he can not make further spiritual progress. The attachment becomes a hindrance on the path towards Truth and spiritual freedom. Religious rivalry overpowers the concern for Truth, and finds satisfaction in fighting to establish dogmas. The Hindu tradition encourages the development of sects in abundance as spiritually beneficial, but it regards sectarianism as spiritually harmful. Although it is natural to love and admire one’s own tradition, the sages teach that it should not result in defensive distortions, one-sidedness, and hatred of others. An attitude of intolerance and hatred cannot bring peace and happiness to the individual or to the society at large. Very early in history, the idea of one Reality manifest in many forms became commonly accepted among Hindus. They were convinced that differences in names and forms did not mean that they represented different realities. Hindus recognize one Supreme Being, while they maintain that He makes Himself available to humans in many forms and names. All the deities are aspects of the Truth of the Supreme Spirit. Brahman, or God, is the source and sustenance of all things material and spiritual; He is self existent and subsists everywhere and in everything, and without Him nothing is or can be. In the evolution of the Hindu tradition, this idea of God as unity has been present right from the time of the ancient text, the Rigveda. The innumerable names and forms of God are merged in the Supreme Brahman, who is worshipped as Unity. But the names and forms of the One are recognized as useful. Hence the oft-quoted verse from the Rigveda: “Reality is one; sages call it by different names.” This idea is also responsible for the Hindu view that the visions of the Divine as presented in other religious traditions are also valid as expressions of Truth. 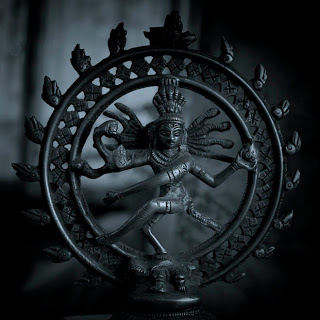 One of the greatest breakthroughs in the Hindu tradition came when the Upanishadic seers discovered that the Ultimate Reality is nameless and formless, and yet makes itself available to us in many names and forms. Because of this the core truth of Hinduism finds expression in monotheistic traditions as well as in non-theistic traditions. This is one of the great strengths of of the religion. In fact, the wisdom of the religious texts and the knowledge of the sciences both contribute to bringing fulfillment in life. They reveal the interconnectedness of everything and reaffirm the eternal message of the Upanishads that there is but one Reality or Truth. Two characteristic Hindu doctrines, the doctrine of spiritual competence (adhikara) and that of the chosen form of Deity (ishtadevata), have in general established harmony among the diverse sects in the Hindu tradition. The doctrine of “spiritual competence” requires that a religious discipline prescribed for a person should be suitable to the level of his psychophysical constitution and the stage of his spiritual evolution. Different spiritual disciplines, therefore, answer to diverse needs and aspirations. The doctrine of “the chosen form of Deity” implies that out of numerous forms of the Supreme Being, the worshipper is to be directed to that form which suits his temperament and satisfies his spiritual longing. The dynamic and flexible character of the tradition has enabled it to adjust to the needs of time and history, although the basic principles have been continuous since time immemorial. Because of its ability to relate the eternal truths to the changing conditions, it has been able to overcome the many challenges that were thrust on it in history. Different Hindu sects, such as Vaishnavism, Saivism, and Saktism, etc., have flourished together in dynamic dialogue and reconciliation; Brahma, Vishnu, and Shiva are looked upon as aspects of the one God. Indeed, they are regarded as one in essence. Further, Durga (the Mother Goddess) is venerated as a sister of Vishnu, the wife of Siva, and the mother of Ganesha. Sri Rama is described as devotee of Siva. The six schools of classical Hindu philosophy have accepted one another as orthodox. The disciplines of knowledge (jnana), action (karma), and devotion (bhakti) are reconciled with one another in the Bhagavadgita. Shankaracharya, the classical Vedantist of the eighth century, reconciled and established six sampradayas, sectarian traditions. He asked all house-holders to worship God in His manifestations as Siva, Shakti, Vishnu, Ganapati, Surya, and Subrahmanya. The Bhagavadgita gave classical expression to this attitude. The language of Hinduism includes not only spoken and written words, but also the language of artistic expression, found in painting, dancing, music, architecture and sculpture. These are all vehicles for conveying profound spiritual ideas and experience. Religious symbols indicate and represent spiritual Reality in the tradition; they seek to reveal the hidden truth of things. The Hindu tradition has given the Vedas, the Upanishads, the Bhagvad Gita, Yoga Sutras, the Epics and the Puranas, the Darshans, the Shrimd Bhagvat and others for the guidance of humanity. These different texts have distinctive thrusts and serve people in accordance with their specific needs in time and history. They are not just for libraries, they are for life. They give guidance in the art of life with a view to realizing the highest good here and now. The values and insights of the tradition have contributed to the enrichment of human culture and civilization in general. Peoples following the great religions call God by different names. Names are symbols; they are more durable than “graven images”. To understand their significance, we should get to their meaning, namely the truth indicated by the names. To choose a different name for praise and adoration is not to deny God. Truth by any other name is still truth. God is one and can be worshipped with many names and in many forms. One may regard his own religion as very precious; but then it must be recognized that others too have the same regard for their respective religious traditions. 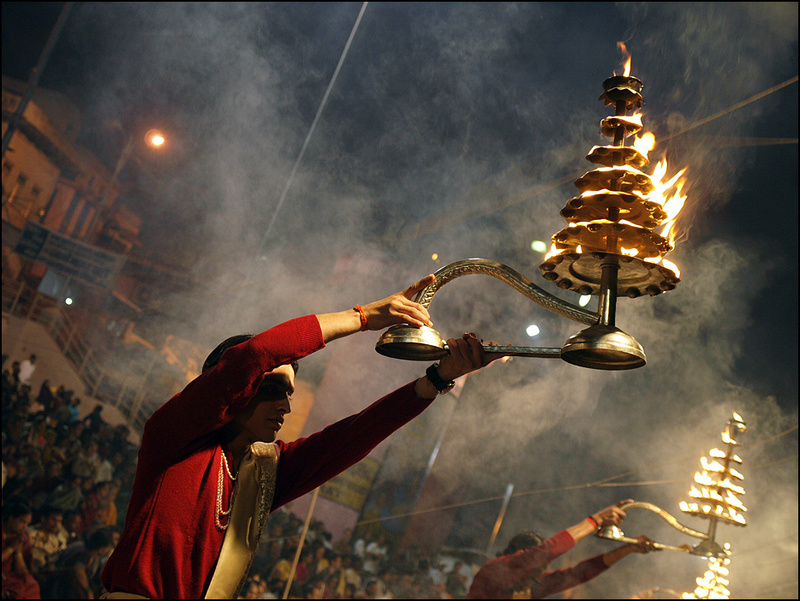 Hinduism is essentially personal and experimental. Each human being has the responsibility to pursue truth actively. This implies personal involvement with one’s faith and the transformation of one’s life. Accordingly, it encourages exploration into the nature of the ultimate Truth; it seeks the underlying oneness of outer truth and inner truth. It looks upon the unity of truth as of utmost significance. It seeks Truth not only through reason, but through all other human faculties, including intuitive experience. Although science is also based on the urge to unify knowledge, it is restricted to empirical knowledge, information that comes from the five sense organs. To know and to realize truth is joy for a being whose basic nature is to know. Knowledge of the supreme Reality or infinite Being is indeed supreme or infinite joy. The joy is so overwhelming as to induce total dedication. Thus salvation consists of the experiential knowledge of God, love of God, and the final offering of oneself to the eternal service of God. The infinite truth is also infinite love. Union with God in this fullness of experience is the highest goal of human, life. The Hindu tradition lays emphasis on practice. It is not enough to know a theory or believe in certain precepts. It encourages the adoption of the experimental procedure in the exploration of the truth of life. Knowledge has to be put into action; one has to walk the path and practice the precepts. Only then does life become disciplined, resulting in the transformation of one’s personality. Yoga (mental and physical disciplines) and Jnana (meditative knowledge) are through and through experimental in character. They do not ask us to believe in this or that statement; nor do they prevent us from raising questions. In fact, they encourage the questioning attitude. But when the experiments begin to yield results, conviction spontaneously follows. It is this experimental dimension that brings authenticity to the affirmations in the tradition. There is no one supreme religious head in Hinduism who dictates to all the faithful what they should or should not believe and how they should or should not act. On the other hand, there are a number of spiritual masters or gurus, who function in a decentralized way. This is one of the strengths of Hinduism. In times of crisis they tend to pull together and cooperate to avert external and internal dangers. Hinduism is very personal and each person may follow a spiritual discipline, suited to his or her knowledge, experience and stage of spiritual growth. Hinduism is universal in its outlook. Its quest for Truth is inspired by a genuine spirit of enquiry. People anywhere in the world may follow Truth without changing their religious labels. The questions raised by Hinduism are relevant to all humans. What is the origin of all these things, animate and inanimate? How are all beings supported and preserved? What is the meaning of and state of being after death? What are the chief causes of happiness and misery? What are the means of attaining the highest destiny of the human soul? These are human problems. The desire to know, to survive, to avoid misery and to be happy are not just Hindu, they are human questions. Hinduism is an open religion. It has never claimed to be the sole repository of Truth and Wisdom in the world. Nowhere in the vast literature of Hinduism is it written that only Hindus, and no other, are eligible for salvation. 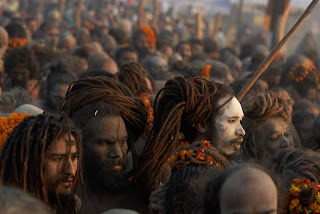 Hinduism does not condemn other religious traditions. It appreciates the valuable insights of other traditions. It affirms religious pluralism and the validity of other traditions. It adopts an ecumenical approach within and without the tradition. Historically, Hindu philosophy is the systematization of the profound intuitive experiences of its sages and seers. Hinduism affirms a close connection between religion, psychology, and philosophy. It views the mind and its capacity for perceiving and understanding the world as necessary means to realize ultimate reality. It holds that the core of religion is spirituality, and that philosophy fulfills itself in the depths of religion. It has never been restricted to mere speculative or abstract belief, but insists on the application of principles to life. It is an experimental discipline seeking to spiritualize and integrate life and thought. It does not connote a blind adherence to tradition that requires a cessation of original thought or persistent questioning. 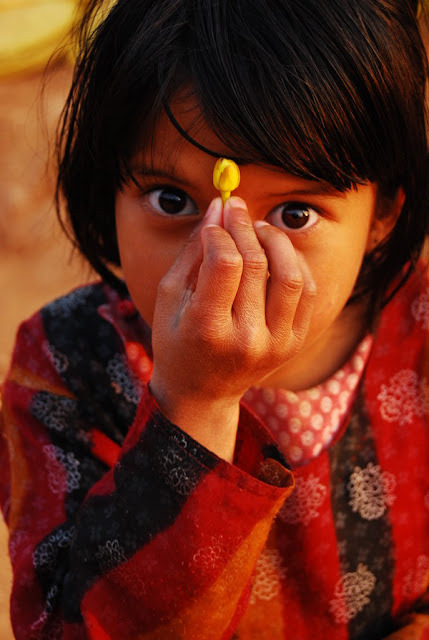 Over the centuries, Hinduism has produced and incorporated numerous schools of thought. All sects and schools of Hinduism uphold the doctrine of karma. This doctrine is the law of conservation of moral energy, the rule of enduring justice, which prescribes that as a person sows, so shall he or she reap. Conversely, one reaps what one has already sown. A person’s life and position are the result of past deeds. Actions in the present determine one’s future. of human actions on life and position carry over from past births and on to future ones, until release is attained. The ancient and inclusive term used by the Hindus for religion is dharma. Etymologically, the word dharma is derived from dhr, which means “to support, to sustain, to hold together.” Dharma holds a society together. It binds all human beings, and in fact the entire creation. It comprehends a whole range of personal and social responsibilities and lays down a way of life which aims at securing the material and spiritual sustenance and growth of both the individual and society. Dharma is the central and most inspiring ideal in Hinduism. The sources of dharma lie in the Vedas, from which the Hindu tradition draws its inspiration and guidance and relates eternal truths to the changing conditions of space and time. It is continuously evolving, and at the same time stable at the core. Since the tradition flowing from times immemorial is characterized not by a corpus of dogmas, but by a way of life geared to the realization of an ultimate goal, Hindus appropriately call it sanatana dharma, “The eternal law”. I have studied few scriptures in my youth. Nowadays I study more. I have modified consequently some true principles for writings and readings. I was led to make a new Fonts policy. Vegesignes : The fusion between the hearing and the picture. According to audio waves and their curves logics shown by an oscilloscope, all letters, characters and numbers should be written openly because that they represent auditive sounds. Take important note that the sound wave cannot go back to it's starting point. Otherwise, our eyes would be trapped, and we would be caught. They should be only one line pen writeable by character, with no cutting strokes, and no detached accents. Under-based "t" is submitted and understood, because that the most silent structure is down; it is the ground horizontally under our feet. All dots above i and j should be stucked, and all diaresis upon ï, ë and ü also. All accents should be stucked (or welded), and all characters should be drawned unlocked. Any glyph should represent the principles that the sound waves have upon our ears while we hear each sound distinctively from another one different. (Pulses upon the tympan by the moves or the vibrations of the air, and then upon the nerves network). They should be no drawings for the eyes. OK? If the images are worth one thousand words, they are not quite very wise and they are showing us one good thousand troubles. Evryone should read these things translated in all languages of the world. From now, the Vegesignes are only including 65 languages wide. I'm telling myself this: just take it easy.